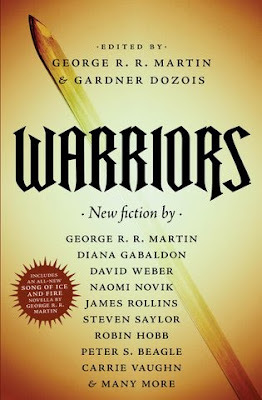 GRRM has revealed the cover to what could be the biggest anthology of 2010. For the table of contents visit an earlier posting. The title treatment works well, but the art is a little underwhelming. Given the breath of different warrior archetypes one would think they had plenty of other ways to go. It seems Tor wants to go for as general an audience as possible with this anthology, but given there is a new Dunk story I can see few fans passing this one up. GRRM also mentioned The Mystery Knight will be the longest Dunk story yet.